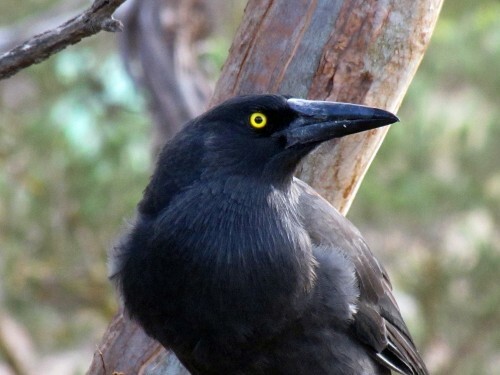 When we bought our home some 30 years ago we never heard or saw Grey Currawongs in our garden or anywhere on our five acre block. They are moderately common and widespread in the district, and this is also true throughout their normal range in southern Australia so it was surprising that we never saw this species in the first decade we lived here. 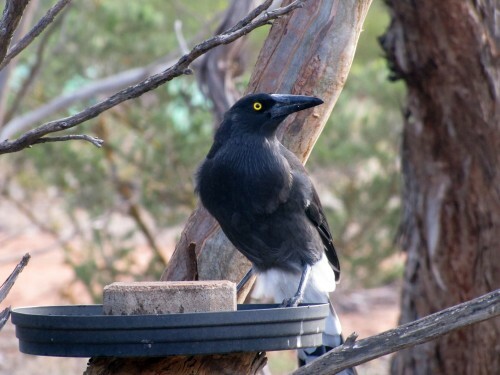 It appears that several birds moved into the mallee scrub area up the road about a kilometre on a hill overlooking our property. When they called – something which happened only occasionally – we were aware of their presence. About ten years ago several individuals would occasionally either fly over head, or settle briefly in one of our trees before moving on. This happened every month or so. About five years ago a pair started frequently following their offspring onto our property. These visits occurred every few days. Now they are relatively regular visitors, even coming to our bird bath on hot days. When they do this it gives me a great opportunity to take a series of photos, like those shown today. These were taken last week during our most recent heat wave. 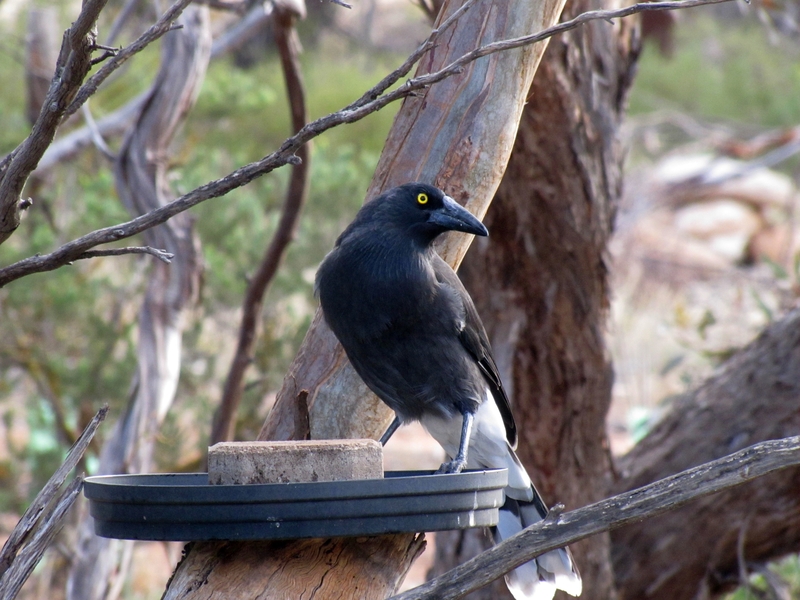 When you have close up views of this species you suddenly realise how big they are, compared with most of the birds which visit the bird baths. 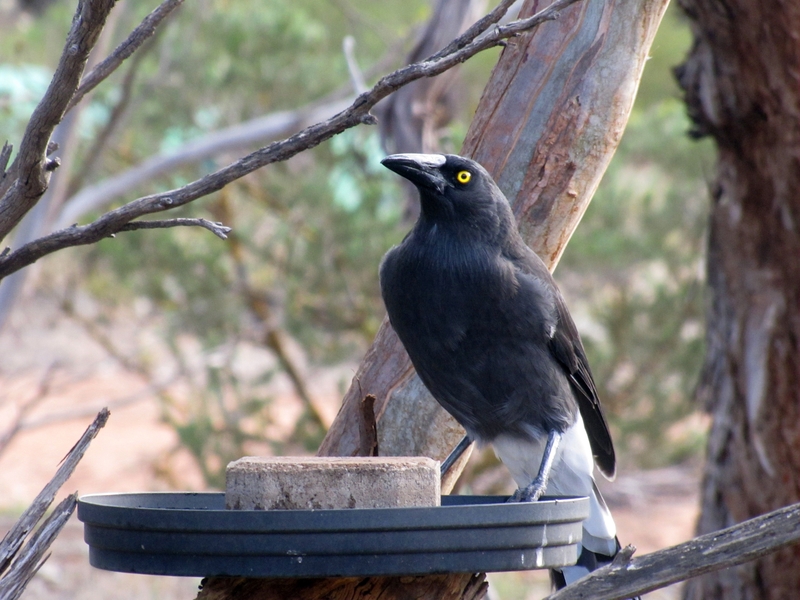 They are much larger than the Australian Magpie-larks, a little larger than Australian Magpies and even the Little Raven. 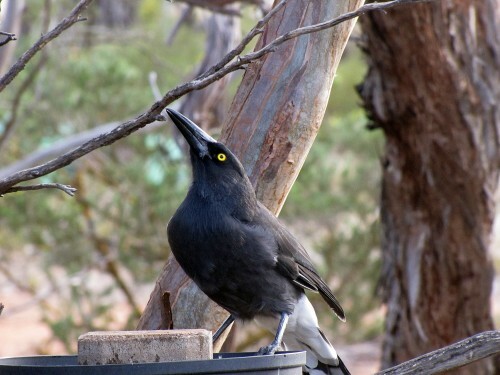 They are certainly much larger than the many honeyeaters which come to drink, and the dainty pardalotes, thornbills and silvereyes are positively minuscule in comparison. And how about that glaring eye? Positively gives me a creepy feeling.